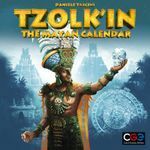 Recently the folks with The Secret Cabal Podcast ran a contest asking for their listeners to give their top 5 games in order to be registered to win a copy of Spyrium and since they are putting together Top 50 lists of their own, I thought I would gather the votes in the thread and make a Top 50 list for the listeners to compare. 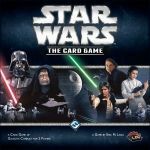 I used a simple 5,4,3,2,1 system, with a favorite game getting 5 points and the fifth favorite getting 1 point. Some games were separated from expansions while others were lumped together, I will show that on the geeklist item. We had a whopping 329 separate games nominated and at least receiving 1 point! 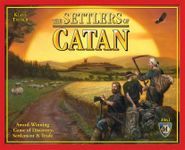 The Cabalists' Top 50 Games of All Time as of a Few Days Ago!! List will be in descending order. I was afraid this one would miss the list and it was close. Scoring a whopping 27 points to eek it's way onto the list is Magic The Gathering. Managing to tie Magic The Gathering was a game that I know very little about, Alien Frontiers. 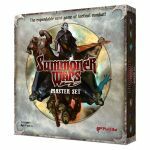 The miniature combat lovers get into the mix at 28 points with Warmachine. I've always been interested in these games, but just have never taken the time or money to dive into them. 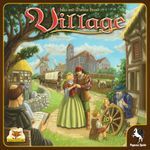 Also coming in with 28 points is this charming Euro about killing off your family at just the right time! Another 28 point scorer. I've had access to a copy of this for awhile now, just never have bothered to learn it, maybe I'll have to change that soon. 28 points is all this classic could muster. Honestly I am surprised to see this in our Top 50. Not that it's a bad game, just that it's just a short micro game that I only really use when I have 5 minutes to spare or nothing else going on. I always forget about this game, even though I have really enjoyed it the couple times that I have gotten to play it and I even have it on my shelf. Our last 28 point scorer! 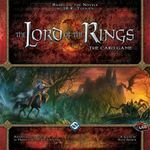 29 points was gathered for this monster 2 player Tolkien fantasy. I did include votes for 1st ed and Collector's edition together with 2nd edition votes. 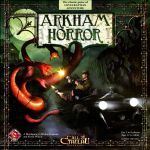 29 points also for the Lovecraft themed Arkham Horror. Stefan Feld graces us with an appearance here with 32 points. A game that I wish I would have picked up a couple years ago when I found it cheap but just thought it would never get played. They may have been wrong about the end of the world, but here they are scoring 36 points in our Top 50 anyway. Ahhh, family fun, recreating WWII battles! 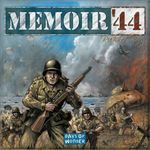 Coming in here with 37 points is Memoir '44. 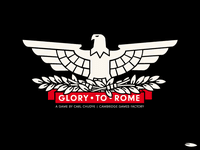 A game I traded away because I could never convince my daughter that learning WW II history and playing a game could be fun. Maybe she would enjoy ASL more? 39 points gathered by this FFG money maker! Ahh, here's where we stick Jamie's favorite. 41 points for this Kickstarter drama of a game. 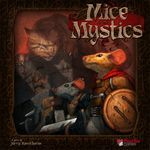 Plaid Hat Games' charming tale of men turned into Mice to save the kingdom racks up 42 points. 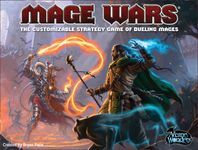 Mage Wars clocks in with 42 points as well! 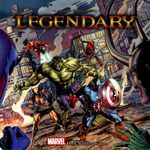 Rounding out our 42 point scorers is this ever expanding heavy box of Super Heroes! Jumping up to 46 points is our second game from Plaid Hat Games! Also scoring 46 points is this Vlaada title. I really need to get this into our collection. 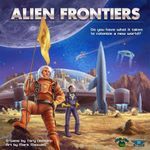 Last year's Essen darling terraforms its way to 47 points. Coming in at 48 points is the classic that just keeps on giving, Carcassonne. 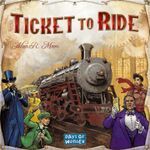 Speaking of games that just keep on giving, Ticket to Ride chugs in with 49 points. This "non-game" comes in at a surprising, at least to me, 49 points as well! 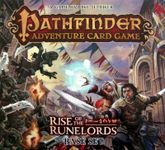 Riding the Cult of the New wave to 49 points as well is this gigantic box of Pathfinder goodness.